The Whitsundays is a real Australian gem. Until a few weeks ago, I had never visited this beautiful place. I had always wanted to go, but never found the time to make a visit. Sometimes I forget that such beauty lies on my doorstep, whilst I am seeking out places in international waters. We did so many fun and exciting things, but were still able to have a really relaxed Australian escape. Seeing the Great Barrier Reef for the first time was an awesome experience, and I’m excited to share what else we go up to. We started the trip in Hamilton Island, and spent the afternoon driving our buggies around the island. First things first – lunch! We flew in and headed straight to Manta Ray for lunch which was perfect for our grumbling stomachs. Following lunch we took a sea plane out to the Great Barrier Reef, one of my personal bucket list moments, where we flew over heart reef and touched down on the water. It was surreal to see this in person and photos really don’t do it justice. I’d recommend everyone do this in their lifetime. Despite the damage to the reef, this place is still nature at it’s finest. 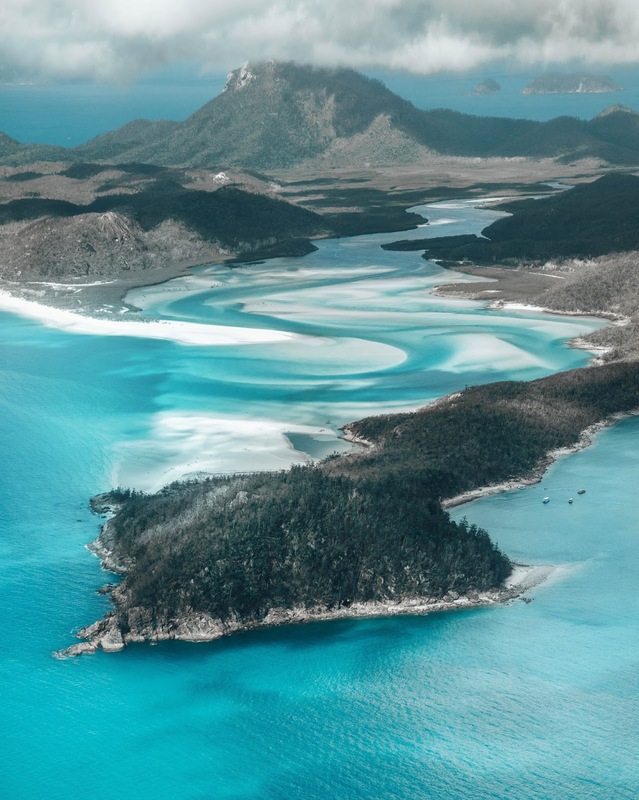 On the edge of Whitehaven Beach lies Hill Inlet, which really has to be seen to be believed. The sand and water swirls perfectly, as though Mother Nature painted it especially for eyes to enjoy. The best way to see it is by sea plane/helicopter & that’s exactly what we did (both ways!). ‘Ultimate Chill’ is what I’d call this place. Airlie beach made the trip so relaxing. We were treated to personalised massages in our accommodation & enjoyed the gorgeous sunset all in one evening. This place was perfect for unwinding and chilling with good company. Those food pics are making me hungry! Lovely pics of the beach!